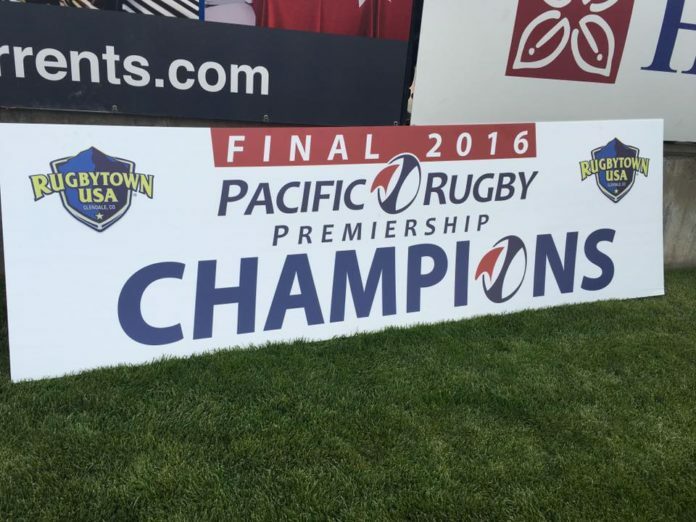 The Glendale Raptors repeat as Pacific Rugby Premiership (PRP) Champions for the 2016 season with a 44-20 victory over rivals San Francisco Golden Gate Rhinos at Infinity Park. 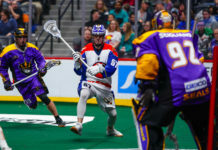 In the third meeting this season and the third meeting in the PRP Final in as many years, the match started off in a tightly contested battle but the Raptors found their groove in the second half. 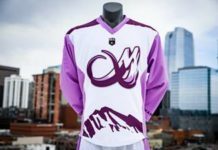 In a season that saw the Raptors depth tested by injuries and losing the team’s best players to the Professional Rugby Organization (PRO) league, Glendale was able to field a full strength squad in the Final. Fenoglio was one of the many PRO players making their return to the side, alongside scrum-half Mose Timoteo. The win marked the third-straight PRP championship for the 39-year-old Timoteo, who joined Glendale from SFGG last season. The Raptors jumped out of the gate with an early try from Dustin Croy, but a pair of penalty kicks helped SFGG cut the lead to 7-6 within the first 20 minutes of the match. Glendale settled in however, adding another try from Croy and a penalty conversion from Armandt Peens to take a 17-6 lead into the break. Glendale didn’t just excel at defense, but offense as well, extending the lead to 27-6 to start the second half. SFGG once again cut the lead with a try to make the score 27-13 with just over a quarter of an hour remaining in the match. 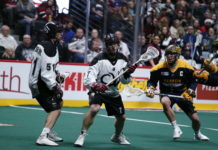 But a Peens penalty and a steal by Martin Knoetze on defense bumped the Raptors advantage up to 37-13 six minutes later. With around 10 minutes remaining, Glendale tacked on another try when Crawford Miller offloaded to substitute Iniki Fa’amusili, putting the score at 44-13. SFGG would tack on a try in the waning minutes however, putting the final score at 44-20. With the win, Glendale also took the season series between the two teams, after being defeated 32-20 by SFGG earlier in the month.